Inside The Financial Reason Why Vanessa Trump May Have Delayed Her Divorce With Donald Jr.! We have learned what it may have pushed the woman to get a divorce. Receiving a pretty large payout from her late dad’s investments – was that what got Vanessa Trump to finally legally split from her estranged husband, Donald Trump Jr.? As you may be aware, Vanessa filed for divorce from Don Jr. last month, but we know that the two haven’t been happy together for a long time, so why did she wait to end the marriage? That being said, we have learned that the timing of the divorce may be related to her family’s recent fortune. Not too long ago, the relatives reportedly shared in a multi million dollar windfall, and it’s all because of her late dad Charles Haydon’s investments. The man passed away back in 2005, months before Vanessa’s wedding to Donald Trump’s oldest son. Haydon was a very successful lawyer whose clients even included Marilyn Monroe. According to some court documents, when he died, the man left his wife Bonnie Kay Haydon an estate valued at no less than $2.5 million. However, some papers filed in connection to Haydon’s estate do not list his assets. The lawyer’s family has recently come into fortune from stocks and some other investments that have matured since his passing. ‘I cannot speculate as to how much they received, but it was life-changing,’ one source stated. With all of that in mind, we cannot help but assume Vanessa’s newfound financial security encouraged her to finally leave her husband. As you probably remember, Don Jr. has been accused of cheating on the mother of his five kids back in 2010 with Aubrey O’Day. At the time, Vanessa was expecting their third child. Zach Braff Admits That Hanging Around Halle Berry Isn't Easy - "I Think I Pulled It Off"
Glad to hear she is financially secure. 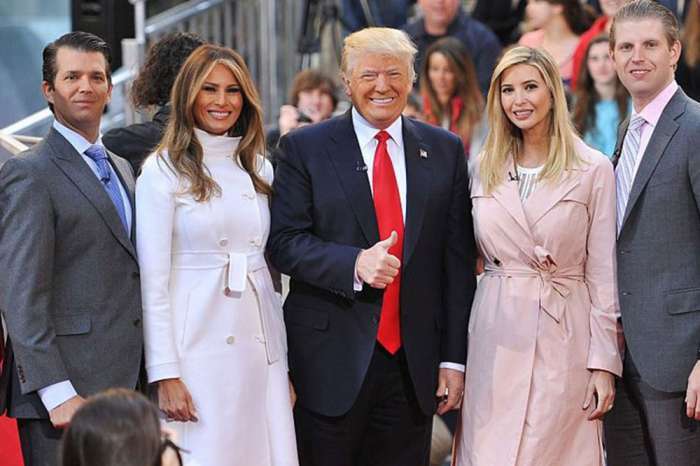 I can not imagine a more pathetic and miserable life than being married to a member of the corrupt, immoral, adulterous group of criminals known as the Trump family. The Trumps are America’s number one crime family.